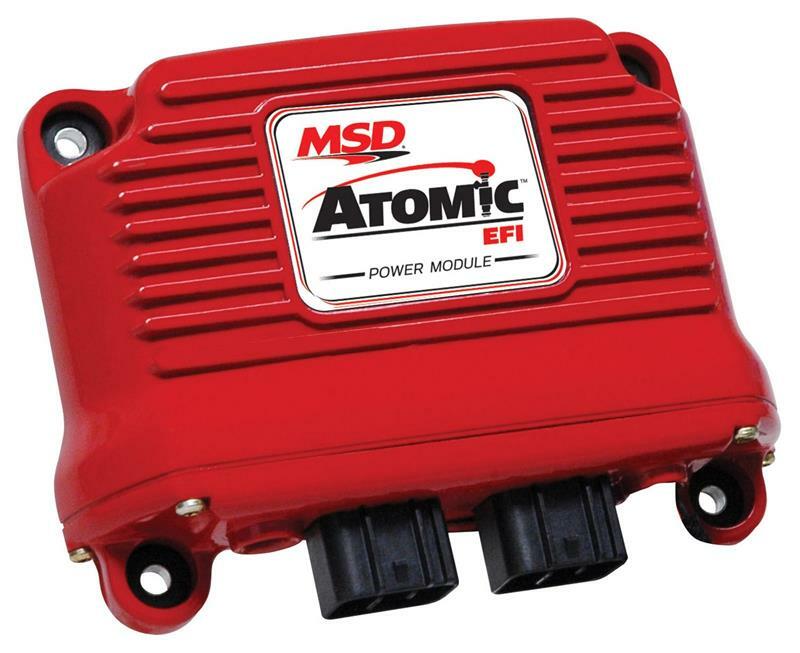 2911 - MSD Atomic EFI Power Module - Pann Auto Performance - San Diego largest aftermarket automotive performance parts - What do you drive? The Power Module is a remote mounted item for the Atomic that handles all the high current loads. MSD’s CAN-Bus technology allows for a single, clean connection between this unit and the throttle body mounted ECU. These two ports are for MSD’s CAN-Bus technology. Just plug in the throttle body and the handheld controller and you are ready to go – nothing complicated! Best of all, these two ports are interchangeable, so don’t worry about which plug goes where. Most of the wiring for the Atomic comes through this loom. 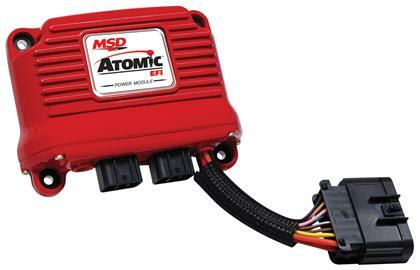 This includes the Fuel Pump power (no relay required! ), two fan controls, Wide Band 02 sensor, 12 volt switched, and power and ground. The Power Module for Atomic can be mounted almost anywhere you like. Of course, we’d love to see you put it front and center on the fire wall, but if you would rather have it tucked out of sight that works too. Just make sure it protected from much water and has a little air flow.